Months ago I purchased tickets for Kelly & I to go see Florence + The Machine. 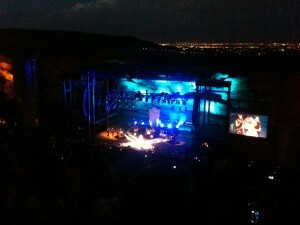 But Kelly’s work required her to go on a trip, so Geoff accompanied me to our first Red Rocks show. I had previously visited Red Rocks Amphitheater, but it was my first time enjoying a concert here. The venue, which opened in 1941, is breathtaking. If you’ve never been, here’s some advice I’d like to offer. 1. Seating: it’s hard. I came prepared with some towels for us to sit on. But I see the benefit in bringing seats that offer back support. 2. Weather: when the sun went down, and the wind picked up, I regretted wearing a cute little summer dress. I was cold! We didn’t bring ponchos, because rain didn’t look like a possibility (and it never did rain). There is no re-entry, so don’t expect being able to go back to your car to grab a coat. 3. Expect that people will not adhere to the “no smoking” rule. Duh. It’s a concert, but the stench of pot and cigarettes was so irritating to my nose. Thankfully, it’s an outdoor venue, so you’re not sitting in a cloud of it all. 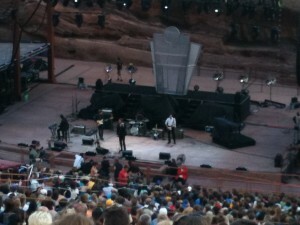 Opening Act: The Walkmen. Decent enough act, the lead singer had some set of pipes, and was dressed very dapper. Sometime before 9, Florence + The Machine took the stage. I predicted, correctly, that she would open with Only If For A Night. Given that the tour is in support of their album Ceremonials, the show heavily featured tracks off it. The performance was what I expected it would be, with her flitting about the stage in a long dress, and dramatic dancing. It was a very enjoyable show. One standout moment for me, was her acknowledging the tragedy that struck in Aurora. She asked for a moment or two of silence, and the place fell quiet. After a minute or so, someone loudly proclaimed, We Will Remember. And Florence began to sing Never Let Me Go, adding, it was for Aurora. It was beautiful. Thanks to Red Rocks, The Walkmen and Florence + The Machine for a lovely evening out. This entry was posted in colorado and tagged F+TM, Music by melissius. Bookmark the permalink. I attended one concert at Red Rocks and thought it was amazing! I’m not sure why I’ve never gone back…. Very cool! I’m so glad you got to go to that show! 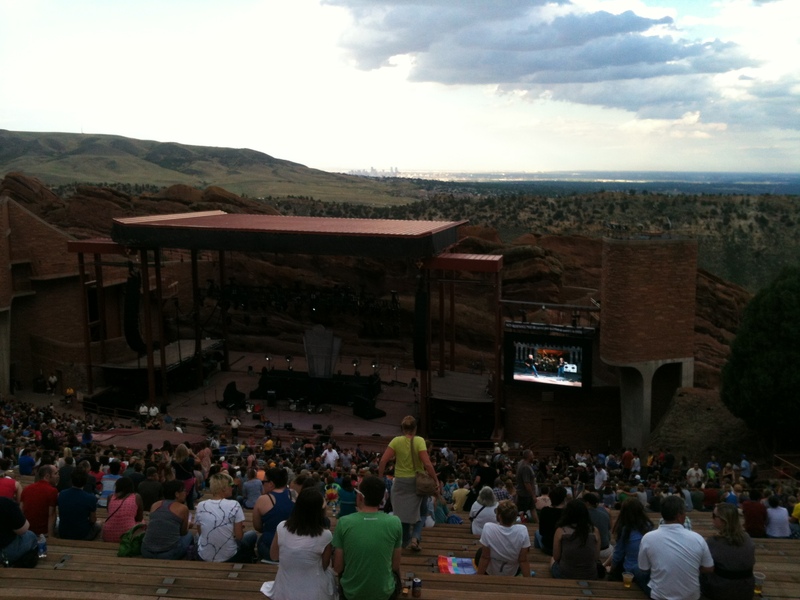 Red Rocks is an amazing venue…just amazing.